Beles extends from west to east, starting with low soft curves on the shores of Lake Doirani and ending up in the Struma reaches the narrow Koula, who split from Mount Hooks (where the Roupel Fortress) and, further east, Mount Mt. Its length is about 50 km. The rocks, crystalline form beautiful slopes to irrigate abundant streams. Its highest peak reaches 2,031 m. (Anonymous). 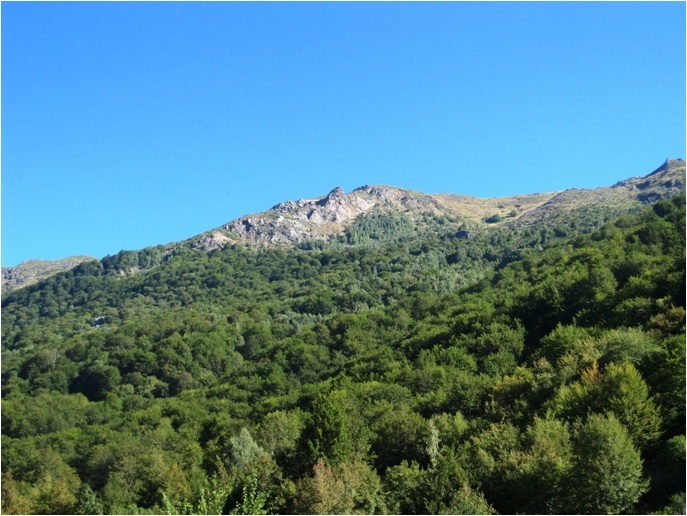 New tri where the Greek border, Serbia and Bulgaria from the First World War has a height of 1,883 m. And the top Istinmpei 1,339 m.
The villages that adorn the thick wooded slopes is enough: Kastanoussa, Platanakia, Makrinitsa, Ano and Kato Poria, Akritochori, Mandraki Vyronia, Neo Petritsi, Livadia Kerkini, Rodopolis etc. It is difficult for Beles mountain climbing. A charming challenge. 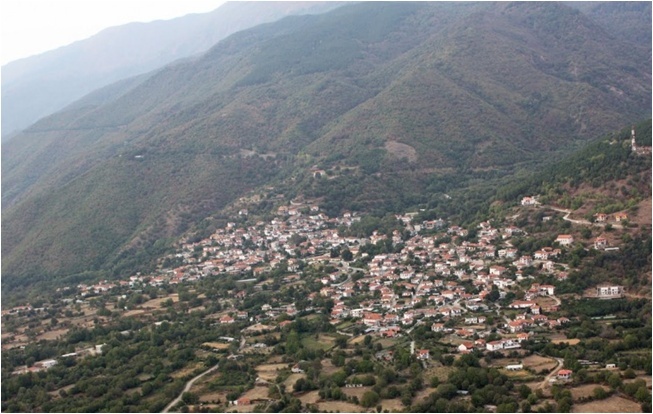 On May 2 members of the Mountaineering Club of Corinth went along with John of Reclus' Oikoperiigitis "as their guide in Beles, starting from Ano Poroia to reach the ridge. He took five hours climbing and three and a half descent without straining. They saw wild orchids and other rare wildflowers were snow in shady parts of the top, admire the villages of Bulgaria on the other side of the mountain had the best view of Lake Kerkini (without camera what tragedy! ), Viewed one or two black woodpeckers (rare and impressed) and went for a boating lake Kerkini the evening to relax after a day of intensive and unprecedented experience. 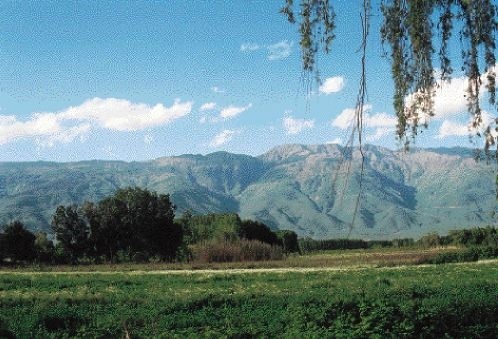 The ancient name of the mountain is Kerkini, its current etymology is a puzzle. 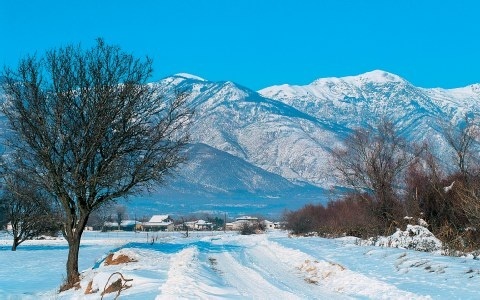 Be Vlach name (Latin-language) and means "beautiful mountain"? 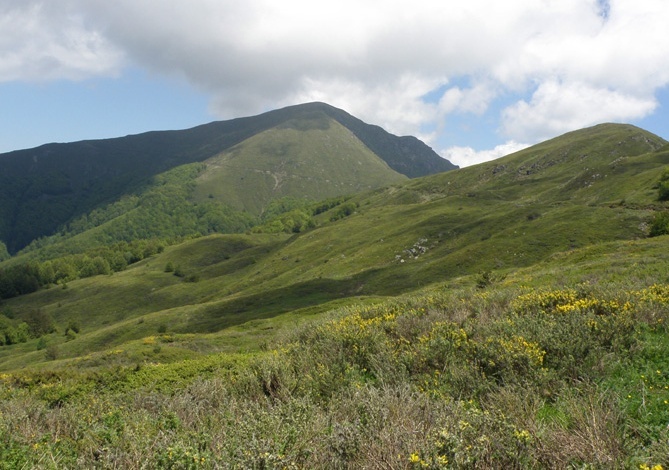 Bella Montagna; I like this interpretation, even if it turns out that is not correct. For me Beles is the beautiful mountain. Lean your eyes on it and rejoices your eyesight.